On Sunday, the only TV show I make time to watch returns for it's third season. Downton Abbey is full of interesting characters and thickening plot lines and has found quite a following. Invite friends over to watch the season's first episode with a Downton Abbey Premier Party and consider taking a cue from the show itself and go all-out for your guests. 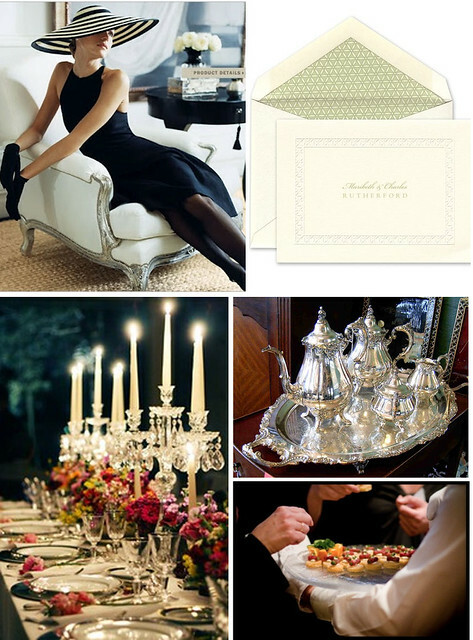 Set up an impressive dinner tablescape using your fine china, consider hiring a catering company to offer butlered hors d'oeuvres and pour tea from your finest silver. If there was ever a time to relish in a little excess, it would be best to do so in honor of welcoming back one of England's grandest families.